Priced to compete for any sized team. Find the value plan that best suits your needs. *Month to month pricing not available with CallProof Lite. Technical support and set up not available. *Month to month pricing for CallProof Plus is $39.00 per user per month. Set up fees may apply. *Month to month pricing for CallProof Pro is $59.00 per user per month. Set up and usage fees may apply​. Does the app take up a lot of space on my phone? No, CallProof is a very lightweight app. Actually, the app is just a viewer of the data, all of which is stored in the online dashboard. How easy is CallProof to customize? Can you help us with the setup? Of course! We help you set everything up, completely customized for your needs. We take your existing data and import it into CallProof for you, we train your team and we provide unlimited support. "Great app, it really helps me to organize my calls and I highly recommend it! I use it together with Badger Maps which lets me plan and schedule my customer visits and create my sales routes." 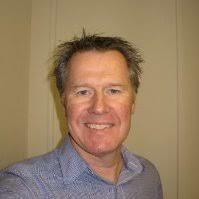 "Great app and service I have my sales team using CallProof and it's helped me keep track of what they are doing. I've cut down their work, made our forms mobile, and I don't have to ask what they are doing each day. I can see it all inside CallProof. Service has also been outstanding from helping set up my account to answering questions any time I ask." Want CallProof but need more customization? Fill out the form and we’ll get back to you asap. 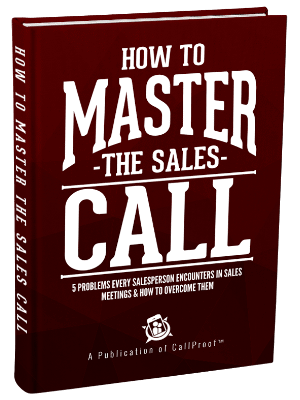 Grab our FREE 28-page guide, How to Master the Sales Call. This guide outlines the 5 problems every salesperson encounters and how to overcome them.